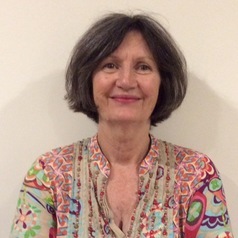 Marilyn McMahon is Deputy Dean of the School of Law at Deakin University. She graduated from the University of Melbourne with BA (Hons)/ LLB degrees and obtained a Grad. Dip. Law and an M.Psychology (Forensic) from Monash University. She was awarded a PhD (with distinction) from La Trobe University for her thesis ‘From Mitigation to Exculpation: Battered Defendants, Expert Evidence and the Defences of Provocation and Self-Defence’. In addition to her background in law, Dr McMahon is a registered psychologist. Her teaching and research are principally in the fields of criminal law, criminal procedure, evidence and forensic psychology. Dr McMahon has a particular interest in the intersection of the law and mental health issues. She was previously a member of the Intellectual Disability Review Panel and is currently a member of the Mental Health Tribunal (Victoria), the Forensic Leave Panel and the Disciplinary Appeals Board.